Stroke index 1 on the course for a reason. 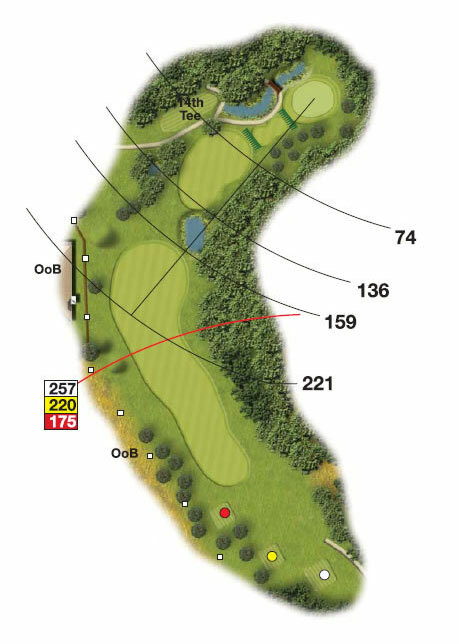 This long dogleg right par 5 requires accuracy on each shot to navigate the hole to meet par. Out of bounds left and trees right from the tee require a draw shot to climb the sloping left to right fairway. Hazards surround the land area for the second so debate whether hitting over the water is the right option. This small green has little forgiveness so an accurate shot is vital.